SEOUL -- "Everything is clearly our fault," read a conspicuous front-page advertisement posted by the brokerage arm of South Korea's largest Samsung conglomerate on all major newspapers on Monday. 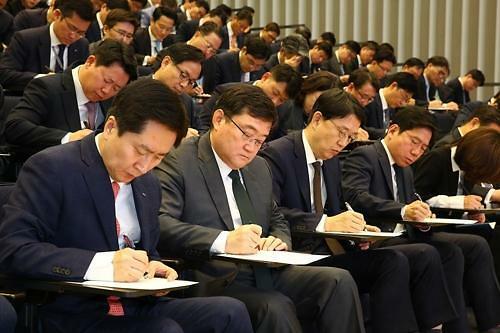 The advertisement came after Samsung Securities CEO Koo Sung-hoo and all other executives and senior managers held a penitential meeting on Saturday and wrote letters of apology for non-existent "ghost" stocks paid to employees as dividends. Under a stock ownership plan, Samsung Securities had planned to pay cash dividends of 1,000 won (0.94 US dollars) to 2,018 employees on April 6, but shares were paid due to a keyboard entry mistake. At least 16 employees sold shares quickly to gain profits. The unprecedented mistake sparked concerns about the credibility of securities firms. 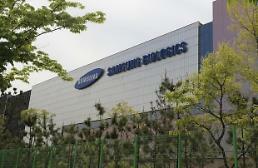 Financial regulators warned of punishment, saying it revealed a "serious" problem in the internal trading system of Samsung Securities and "moral hazard" among employees. In Monday's advertisement, Samsung Securities vowed to compensate investors, admitting the incident was caused by sloppy business handling and the lack of vocations ethics. "Once again, we sincerely apologize to the people for our mistake," it said, adding the company would sternly punish those who sold off ghost stocks. Public criticism is widespread and some angry investors called for a criminal investigation. "The incident was a scam and an act of market disturbance," "Edaero", a user from South Korean web portal Daum, wrote. Another user "Suwondaek" said: "They should be legally punished for their actions. It's not something that can be evaded with a letter of apology."